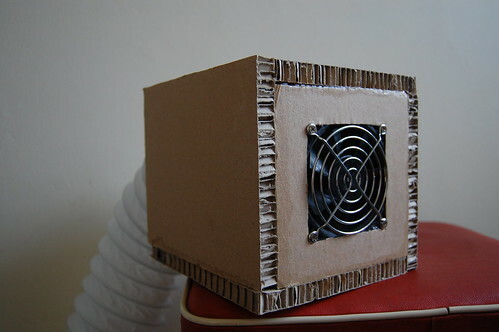 Ever since I got my first soldering iron, I was thinking about a fume extractor. One week I got most of the parts that I needed to build one and so this project was born. 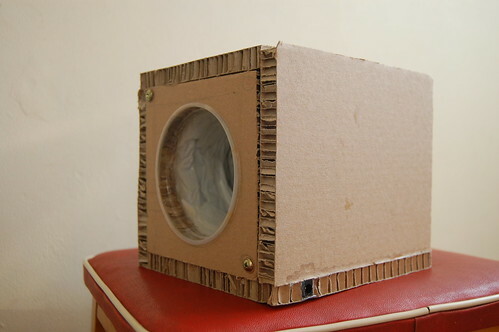 The box is made of honeycomb cardboard, which is strong, but lightweight. The fan is a standard computer cooler rated at 10V 150mA. Power supply outputs 14V, 1.2A, current is limited by a 100-ohm resistor. More pictures are available on my flickr page.